The Weierstrass Institute honors the memory of Karl Weierstrass. 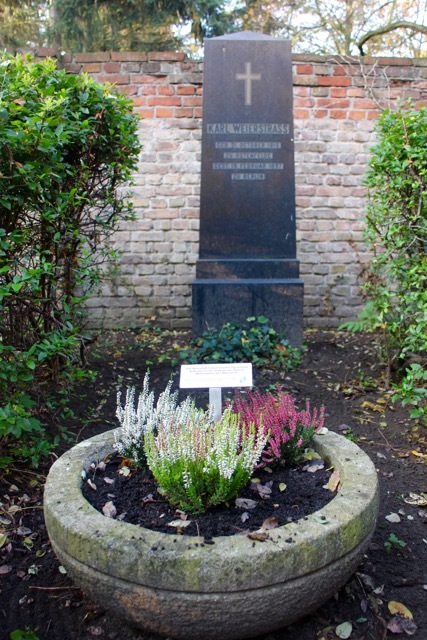 From 1994 until 2014, Karl Weierstrass's grave on St Hedwig's Cemetery I in Liesenstrasse 8, 10115 Berlin was listed as a grave of honor of the State of Berlin. Since then, WIAS has taken over the maintenance of the gravesite.